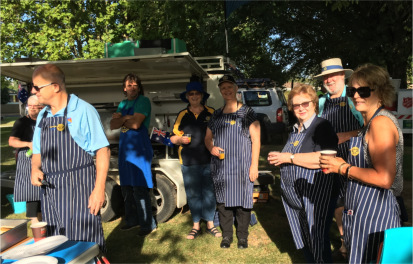 We had a good team of members and friends available to serve pancakes to the (less than) masses at the Australia Day event on Saturday. Numbers of community members attending seemed to be down a little on previous years, but the pancakes still tasted great! Thanks to those members and friends who were able to help us out.